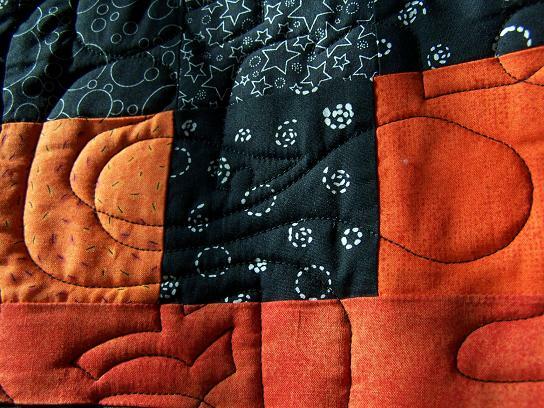 I like the design your chose for the quilting. Glad you are staying busy Randi. Have a great birthday and don’t eat to many of those Whoppers. I never could stand the ‘malt’ in malted milk balls. I might have to try the strawberry to see if it’s different. Love the boots etc. panto. Very cute on that quilt. hmmmm they look PINK! are they? Happy, happy birthday!! Your panto quilting looks great. I have a very had time following pictoral pantographs. Happy Birthday. Those whoppers looks yummy, too. We have the chocolate kind here, but they are called Maltesers. Too yummy. Happy, happy Birthday!!! (confetti all over) The quilts are great and strawberry whoppers, tempting indeed. You have been busy, girl! Hope you are having the best birthday ever! I hope its the best one ever! Happy Birthday Randi – sorry I’m a day late. Hope you had a great day! And March 9 was my Gramma Betty’s birthday too, so I know it’s a great day!! Randi…Add me to the list of “Happy Birthday” wishers. May you have many more! 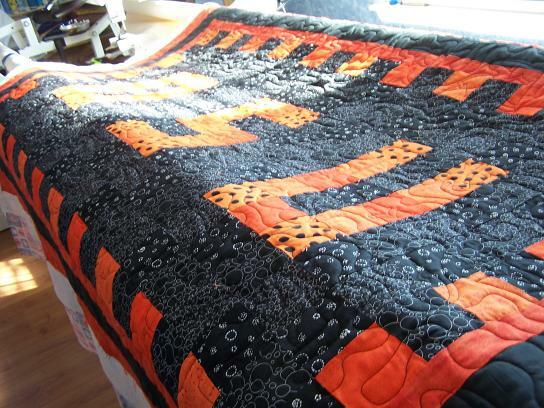 The quilt looks great. WOW! You HAVE been busy!!! And, as usual, all your work is FABULOUS, darlin’! Happy Birthday! 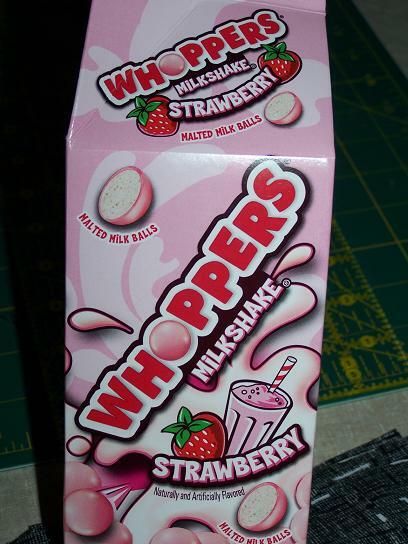 Those strawberry whoppers look good! 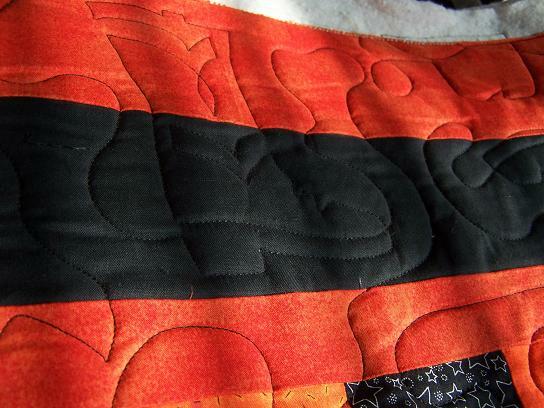 The panto looks great on that quilt – how great that this guy is piecing quilts even if there are a few challenges.